Our Finest grade of Matcha! 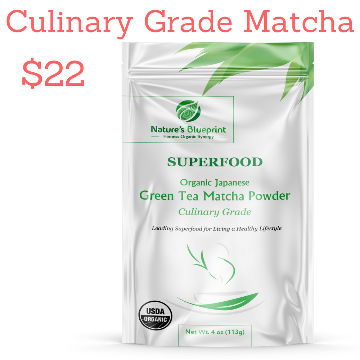 Protective, nourishing, and healing Green Tea Powder for your entire body. USDA Certified Organic. Cleansing, Invigorating, and Revitalizing Matcha Powder ground purely from USDA Certified Organic Green Tea Leaves. 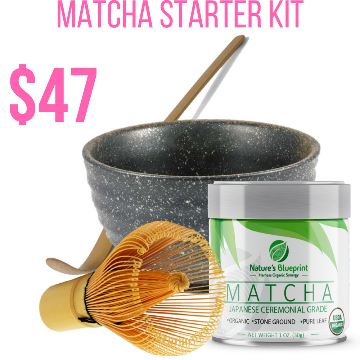 Create an optimized Matcha Fueled Life with BOTH grades of Matcha in one! Great value, and a great Gift. The Greatest Gift you can give to your body (or a loved one). 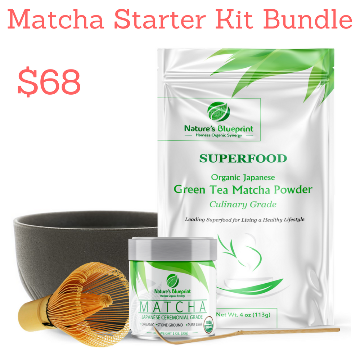 This kit has everything you need to get started protecting, nourishing, and healing yourself from the inside-out. 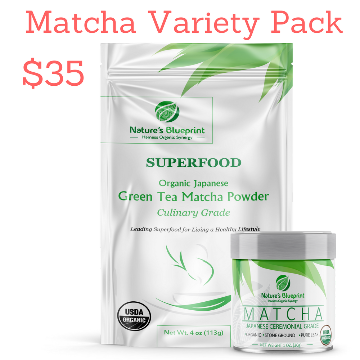 The Complete Matcha Experience! Everything you need to start enjoying a strong mind, body, and soul. Full of health enhancing benefits. 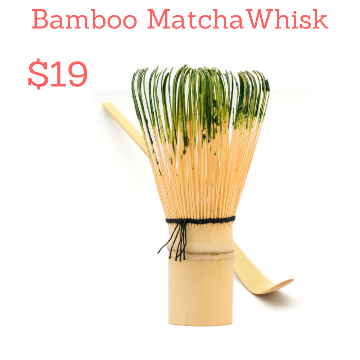 Bamboo Whisk with FREE matching scoop! 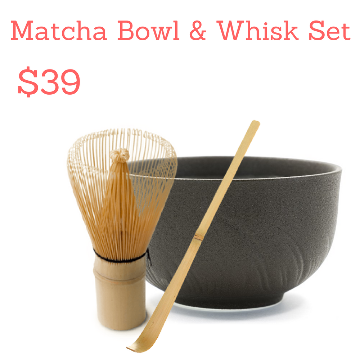 Handcrafted, 100 prong, the perfect accessory for blending up a smooth and delish cup of matcha. Stick to the basics: Enjoy smoother, frothier, and more authentic flavor with our most popular accessory set! Never go a day without your health enhancing cup of matcha. Conveniently delivered right to your door however often you wish. Not to mention special perks, and the best pricing found anywhere! 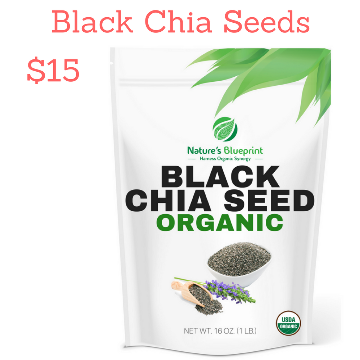 Adds a powerhouse packed with energizing, plant based protein to your diet, for an extra boost of nutritious and antioxidant filled benefits. 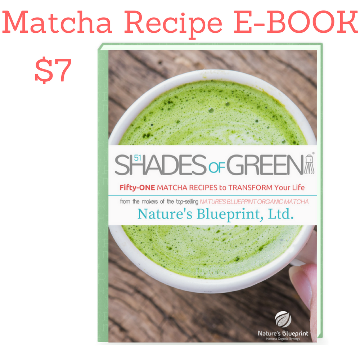 Delicious mouth watering matcha recipes created with the matcha lover in mind. From green tea lattes, frappes, and refreshing beverages to sweet tooth satisfying cookies, and savory dips and entrees. 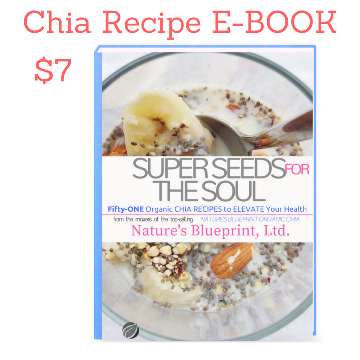 Tasty chia recipes for everyone to enjoy! Jams, Drinks, No-Bake Goodies and much, much more to fuel your soul. All of Nature’s Blueprint, Ltd. products are certified organic. We pride ourselves on the fact that you do not need to possess a dictionary in order to read and understand our ingredients. Each and every product we provide to you is grown and produced by farmers using carefully mastered techniques, and stringent standards, rules, guidelines, and regulations to ensure you are receiving products that are exclusively organic. I have been drinking Matcha tea for several months now, I picked up on the fad and have stuck with it since Matcha is so good for you. I've experienced my fair share of poor quality Matcha tea, but Nature's Blueprint is exceptional. It is finely ground and easy to dissolve in water. I also loved that they provided a recipe book with their Matcha so you can try it in other ways other than hot or iced Matcha water or tea. It's a great way to enjoy Matcha. This is an awesome morning drink! I have my first one when I wake up and don't feel the need for a caffeine "hit" until late afternoon. I was a 2-3 cup of coffee first thing in the morning and then another 2 or 3 to keep me going throughout the day. 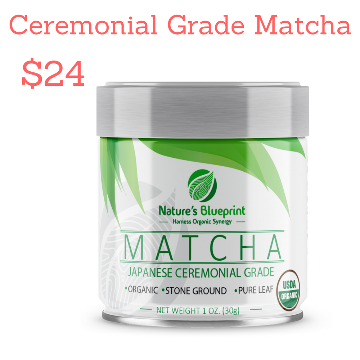 Nature's Blueprint Matcha has a good full herb, green tea, earthy taste that I really enjoy. No sugar, no cream, just Match! My first purchase of any Matcha Green Tea. I love the taste. I was hesitate to try Matcha since I am not a fan of regular green tea but this Matcha product is delicious. I drink it plain and like to bring a thermal cup of it out when I am doing errands. I was interested in trying Matcha due to its health benefits and I will continue to buy this product. It has a smooth comforting fresh green flavor. The color is beautiful. I chose this particular product from Nature's Blueprint since it is organic, ceremonial grade and from Uji, Kyoto Japan. This matcha is excellent and their customer service is fabulous. I recently stumbled upon a research article supporting the benefits of match tea for diabetics. My father had just been diagnosed with Type 2 and was having bad leg pain that was preventing him from sleeping well at night. I sent him some matcha tea with instructions and after one week his leg pain was significantly reduced. It also has proven benefits for kidney and liver function among many other things. Of all the supplements and "greens" powders I have tried over the years, this is the only thing I have really felt great results with. I shared my story with this company when they reached out to see if I was satisfied with the product and I received the nicest, most thoughtful communication I have ever received from a seller. 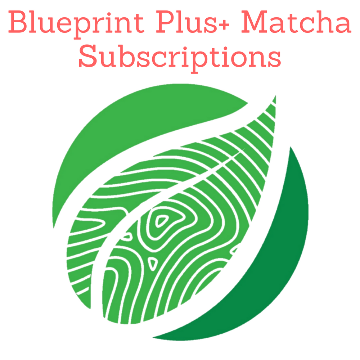 Take A Selfie With Your Nature's Blueprint Matcha and email to Info@natures-blueprint.com for your chance to win!